American dancer and choreographer Wayne Cilento (b. Bronx, New York, 28 August 1949) is best known for originating the role of Mike in the Broadway show A Chorus Line, and later becoming one of Broadway’s most prolific and honored choreographers. 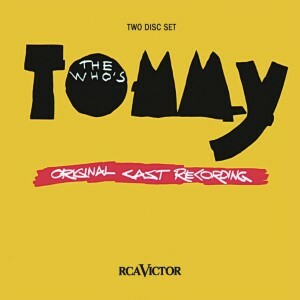 He has been seven times nominated for Tony Awards® (once for acting), winning outright for The Who’s Tommy in 1993. When Wayne Louis Cilento was seven or eight he was persuaded to go to one dance class, but he was so shy, embarrassed, and discouraged that he never followed up – that is, until his teens, when he saw the original production of Cabaret on Broadway and was convinced he actually “could do that!” He started to take part in musical productions at his high school, won the lead parts, and got serious enough to sign up for dance classes twice a week. He continued to study dance with Bill Glassman of the American Ballet Theater at The College at Brockport (in upstate New York, on the Erie Canal). Of his mentor Glassman, Cilento later said, “He was short and straight – someone I could use as a role model.” Graduating in 1972 with a Bachelor of Science degree in Dance, he returned to New York City and within a year was making his Broadway debut in the ensemble of the musical Seesaw (1973) – written, directed, and choreographed by Michael Bennett. Meanwhile, he married his high school sweetheart Cathy Colety. He worked on the notoriously disastrous Rachael Lily Rosenbloom and Don’t You Ever Forget It (1973), which never officially opened, then was invited by Bennett to participate in the intensive workshop development of A Chorus Line in 1974. Ultimately Wayne Cilento was given the prominent role of Mike in that musical, performing the narrative number “I Can Do That,” and winning the 1976 Theater World Special Award for Ensemble. “Incredible forces and influences in my life … that now I realize how much they influenced me and how much I learned by being in their company. I wished I did another show with Michael; I did two shows with Bob, and it was really interesting: the two of them had a scope of how everything moved. It wasn’t about the choreography, it was about how everything was choreographed – the stage was choreographed – , primarily mostly for Michael. Michael wasn’t interested in the specific dance steps. He had a corps of people and I was one of them; it was the Donna McKechnies, the Baayork Lees, and myself and Tommy Walsh, we would be the corps of people that went into the room that came up with the vocabulary, dance steps, and he would come in and he would edit, and he would say, well, do two of those, one of those, put that together, I’ll come back. And then we would do combination, he’d come back and if he liked it he would bring it into the other room and teach the dancers. And then choreograph the room. So that was Michael. Cilento had not actually been absent from Broadway for those ten years of commercials. His choreography for Joseph and the Amazing Technicolor Dreamcoat (1982), originally created in Washington at the Ford Theatre in 1981, was seen on Broadway for 747 performances; his first “musical staging” was done for Baby in 1983 (and earned him his second Tony® nomination); and Jerry’s Girls (1985), the Jerry Herman revue, was the first occasion on Broadway for Cilento’s billing as Choreographer. His next Broadway project was in the nature of an interlude, acting as First Narrator for Bob Fosse’s adaptation of Big Deal on Madonna Street (Big Deal, 1986), which closed after only 69 performances. When he made the dynamic choreography for The Who’s Tommy in 1993, Cilento was at the top of his game, winning both a Tony® and a Drama Desk Award, plus an Astaire Award as Best Choreographer on Broadway. In 1996 the musical traveled to London, where he received a Laurence Olivier Award nomination as well. 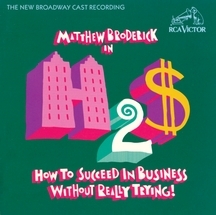 For the 1995 hit revival of How To Succeed in Business without Really Trying starring Matthew Broderick, he flavored the dancing with a touch of Bob Fosse’s style – Fosse had been the stager of musical numbers in the original production – and earned his fourth Tony® nomination. His fifth nomination came in 1997 for Dream: The Johnny Mercer Musical, which Cilento both directed and choreographed. Since then, he has created the choreography for three hit shows, Aïda (2000, 1,852 performances), Wicked (2003 and still running, now approaching 4,000 performances), and the revival of Sweet Charity (2005, another Fosse work), picking up two more Tony® nominations. He has also participated in several workshops, including one for Pandora’s Box: The Musical in October 2010. Aside from his Broadway activities, Wayne Cilento has portrayed Jack Cole on tour in a musical called Jack, and had a small role in the film version of Annie. He directed and choreographed the critically acclaimed Spirit: A Journey in Dance, Drums & Song (1998), a video documentary with Kevin Costner, and has won two Clio Awards for his commercials. Wicked is scheduled to be released on film in 2014. Cilento lives in Mamaroneck, New York, with his wife Cathy. They have three sons.